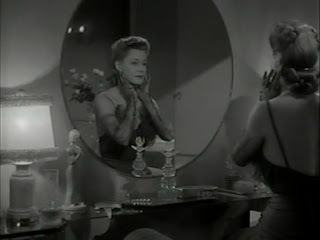 "You see, Tommy, you just won't understand that in the lifes of all women there's some unfinished business. Don't ask me why. Is that clear?" Well, the next morning Steve hopes that he would get away without having to talk to her but gets trapped. S: "I'll give you a call..."
S: "What do you think?" The next weeks bring two revelations for our small town girl: Steve won't call, and her voice isn't trained enough for an opera career. The only job Nancy lands is as singing telephone operator at a nightclub. An accidental meeting with Steve and his fiancée at the club ends with tears for Nancy. 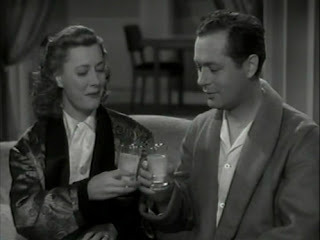 Not knowing why she is so upset, Steve's brother, Tom (Robert Montgomery) tries to comfort her. Tom is a boozer, a good-for-nothing fellow feeling overshadowed by his older brother but nonetheless a nice guy. At the night of Steve's wedding Tom and Nancy get terribly drunk and not so terribly married with Tom still not knowing about the train fling between his brother and his bride. The main occupation of the young couple during the next time is frequenting nightclubs and showing socially not accepted behaviour but one evening they strand at the domiciliary grand piano with Nancy fulfilling Tom's request for "When You and I Were Young, Maggie." Tommy has it bad; despite their original intentions he has fallen in love with his wife. Nancy - though not totally over her feelings for Steve - isn't immune to his confession and starts to show some wifely qualities. "Unfinished Business" is an underestimated little gem - an intelligent, very "adult" movie which switches between different genres. It's not a real comedy but witty and funny in between, and it's too funny and witty to be called a drama. 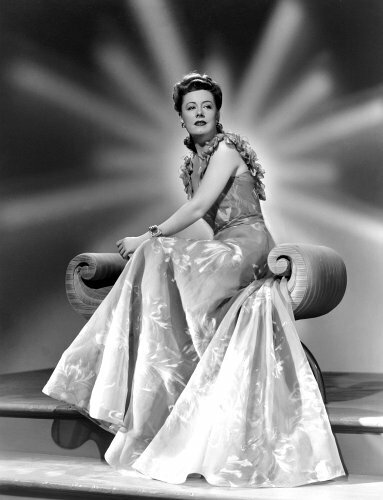 The person who makes this hybrid of a film mainly work is Irene Dunne. Her Nancy is quite a character - naive, a person with an agenda of her own, not exactly flawless, with pathetic moments but in the final analysis blessed with an amiable down-to-earth quality. Nice stuff for an actress who was not only the mistress of the melodrama but also the queen of the comedy timing. 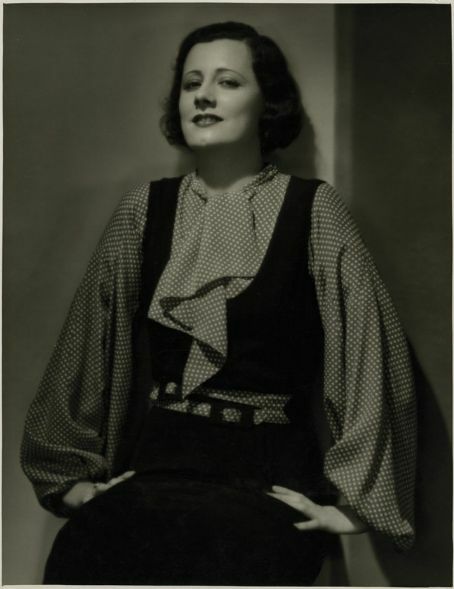 Miss Dunne gets the chance to show a lot of facets - including her singing voice - and as you ought to know by now, La Dunne was no diamond in the rough; she knew how to glitter exquisitely. 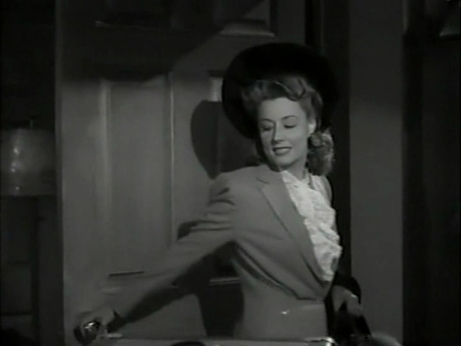 The film doesn't beat around the bush - small town girl was seduced in the train. Listening to Irene's "I love you..." the next morning you simply know that this night was not merely about holding hands (btw after the "wedding night" in "Penny Serenade" the second sexual encounter in a train in a row.Of course we don't get to see anything but the stopping down to the moving wheels of the train symbolizes the "forces at work") The plot is unusual for a film of this era because small town girl is not punished for her one night stand; she doesn't get pregnant, doesn't die, doesn't lose her rich husband but she moves on and even gets to terms with the nice guy in the end. Every time when you have the feeling that you are on the steady course of a Hollywood story, "Unfinished Business" steers in an unexpected direction. Or was stupid me the only one thinking that we were heading in the direction of a glamorous career as nightclub singer when Nancy-Irene was invited to audition? Instead she gets to "rehearse" a jingle and stupid me almost died laughing. 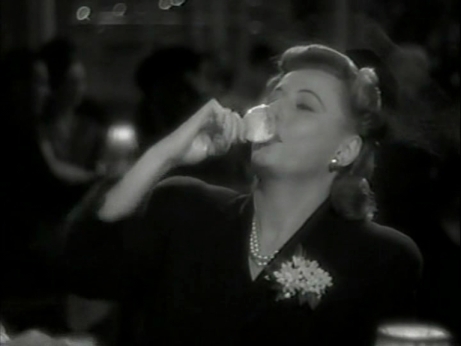 Of course this hilarious scene only works because Irene Dunne really could sing. "Unfinished Business" boldly takes advantage of Irene's off- and on-screen image; plays around with it and spoofs it which is a lot of fun for folks with some Dunne knowledge. But let's talk about the source for some unfinished business in Nancy's life, the males. Preston Foster is okay for me - no less, no more. I don't find him overwhelming attractive but that mirrors nicely how desperate Irene's character is for some, any kind of romance in her life. "Steve" is a rather ungrateful part with not much to do except being quite unsympathetic - a not overly interesting "wolf." 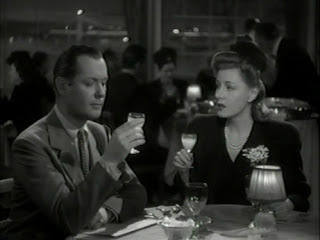 Robert Montgomery is another league but I had to acquire a taste for his acting. 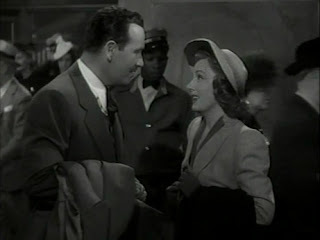 Considering the fact that he worked frequently with all my favorite MGM gals I just didn't get around the guy and finally developed a real liking for him. Nowadays his presence is a convincing reason to watch a film. 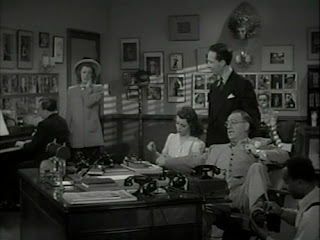 "Tom" is a sort of typical Bob Montgomery role - he was always good at portraying frivolousness with an option for seriousness - and he creates a complex character who manages to finish some issues of his own. He and his co-star have some wonderful scenes together which show how impressive underacting can be. 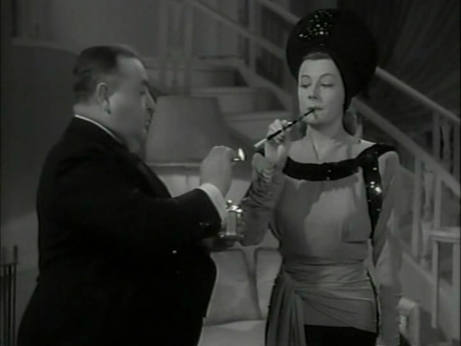 Kindly enough, Robert Mongomery has a very competent valet at his side embodied by character actor Eugene Pallette who gives a great performance as "butler Elmer." La Dunne with Eugene Pallette - this was the last time that Irene smoked on-screen. "Unfinished Business" is based on an original story by director Gregory LaCava. He not only leaves room for his story and his actors but manages remarkable staging. Especially the scenes which change between privateness and public - in the restaurant with the silver wedding anniversary in the background, the party at the Duncan's or the nightclub scenery for instance - are very well done. To figure on the player's personality was a typical LaCava method of work which explains the Dunne tailored tidbits. 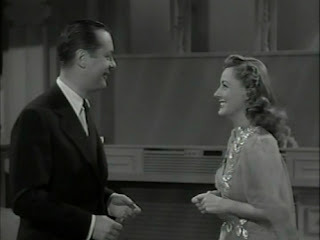 As for Robert Montgomery, they had to start filming earlier because of his commitment to active service in the U.S. Navy; and once again art imitates life! If those tidbits are the "LaCava touch", I certainly appreciate this approach. An intelligent, unusual story, great actors, remarkable directing, an in all her facets glittering Irene and music - that's the Dunne formula which makes me happy! I'll skip this review for now because I still haven't found this movie anywhere. I noticed it isn't available on DVD (which explains why I've been having trouble finding it). Is there any way you could help me with that? I'd be very grateful. As an Irene Dunne fan I absolutely love this movie and never tire of watching it. I am an also opera fan but am frustrated because I seem to "know" the music of the opera in which Nancy sings towards the end of the film; but I cannot name the opera! Can anyone help by identifying it? Of course - Martha! I realise now that the hero sings "Marta" right in the beginning of the piece! !